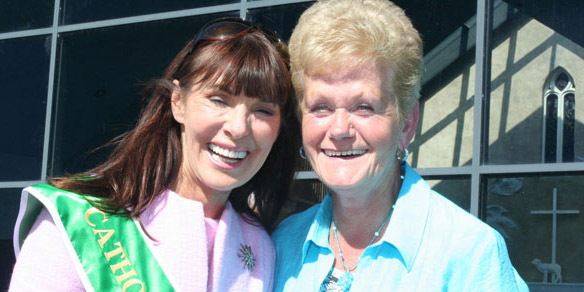 Pictured at Knock Shrine, Co. Mayo, at the 2009 National Grandparents Pilgrimage are (from left) Catherine Wiley, founder; and Sadie O’Connell, Enniskerry, Co. Wicklow. Picture David Walsh. The Catholic Grandparents Association, launched in Knock Shrine last year, has been formally blessed by Pope Benedict XV1. The Papal Blessing has been greeted by Co. Mayo woman Catherine Wiley, the founder of the Catholic Grandparents Association and the National Grandparents Pilgrimage. “Our Holy Father Pope Benedict XVI invokes God’s Blessings of Joy and Peace upon you and all of the Association. 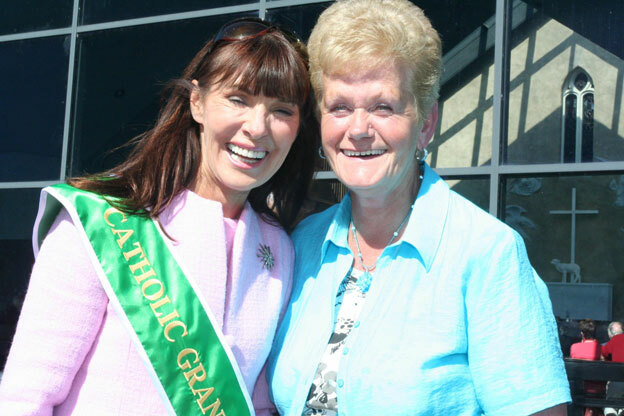 The Catholic Grandparents Association was born out of the National Grandparents Pilgrimage, which was first held in Knock Shrine in 2007. Over 5,000 people attended, and last year a gathering of 14,000 grandparents and their families came along for the dual purpose of the Pilgrimage and the launch of the Catholic Grandparents Association. This year’s National Grandparents Pilgrimage will take place in Knock Shrine, Co. Mayo, on Sunday, September 12th, at 3pm. The National Grandparents Pilgrimage was established by Grandmother Catherine Wiley in 2007. The aim of the National Grandparents Pilgrimage is to celebrate the important role grandparents play in the lives of their grandchildren.